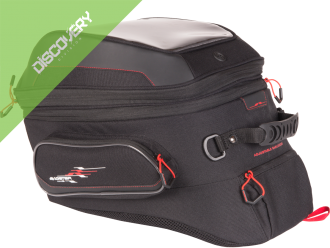 The compact design of the ADVENTUR BAGLOCKER makes this tank bag the obvious first choice for all Enduro riders. 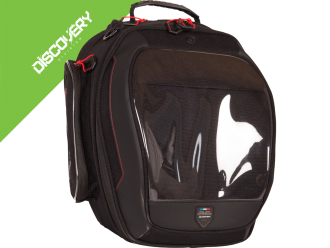 The special structural shape of the underside considers the tank line nearly of all enduros and crossover-bikes, so the bag don't rise up to far into the abdomen and reduce your freedom of movement. 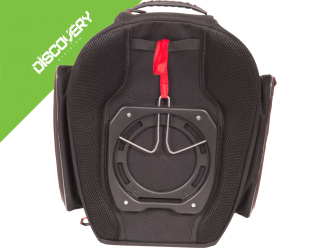 This mainly by nylon produced bag with applications made of PVC have a tactile map window, so smartphones or tablets can be controlled from the outside. 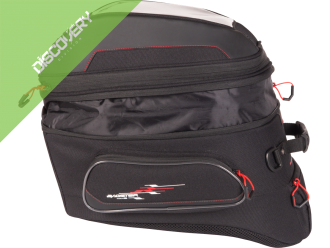 The detachable shoulder strap enable the bag to be carried comfortably away from the bike. 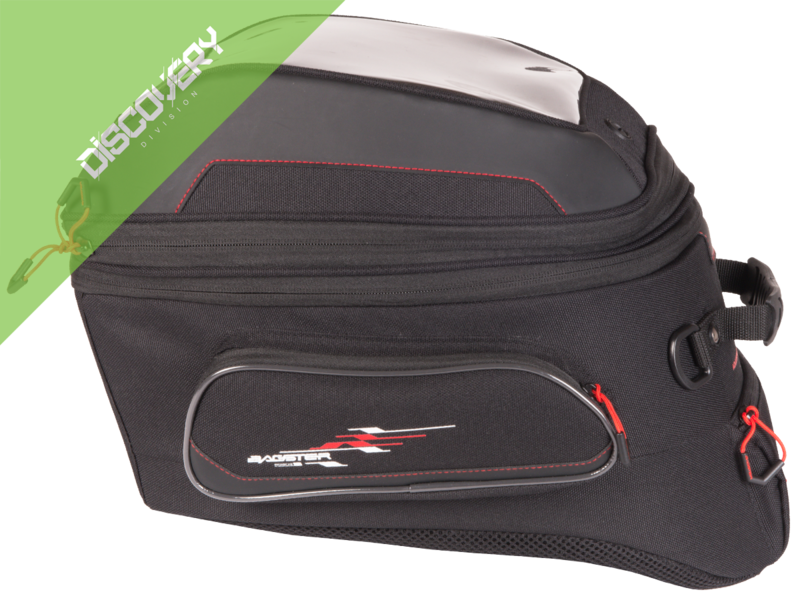 Two patch pockets on the sides and the elasic pleat (+5 litres) complete the well thought out equipment.